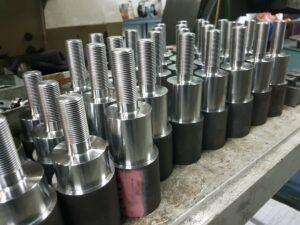 52mm or 62mm Thread length. 22mm diameter UNF thread to suit most tow bars. The high shoulder allows great articulation of off-road couplings over standard tow balls. 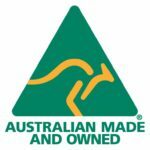 Overseas manufacturing in China and other places, it is unusual to find Australian made goods. I am so proud we can manufacture these tow balls for you. In our opinion, these high tensile tow balls are the best on the market and a great investment. Standard tow balls can touch and put a lot of force on the edge of the receiver bar and may cause coupling, tow ball and chassis damage. Standard high shoulder and stainless high shoulder tow balls are also available using the drop-down menu. Your coupling weight is critical to your rig running true and braking correctly. Too much tow ball weight overload your tow vehicle and make it overrun its braking ability. Tow ball scales help you identify how much weight you should move back onto your trailer axles thereby lightening the load on your tow bar. Correct weight and a level chassis play a huge role in effective and efficient towing, Click the image to add tow balls scales to your shopping cart. For the 3,500kg and a true rating performance, we use high tensile steel and this is where these tow balls become costly. Couplemate tow balls are guaranteed for life. 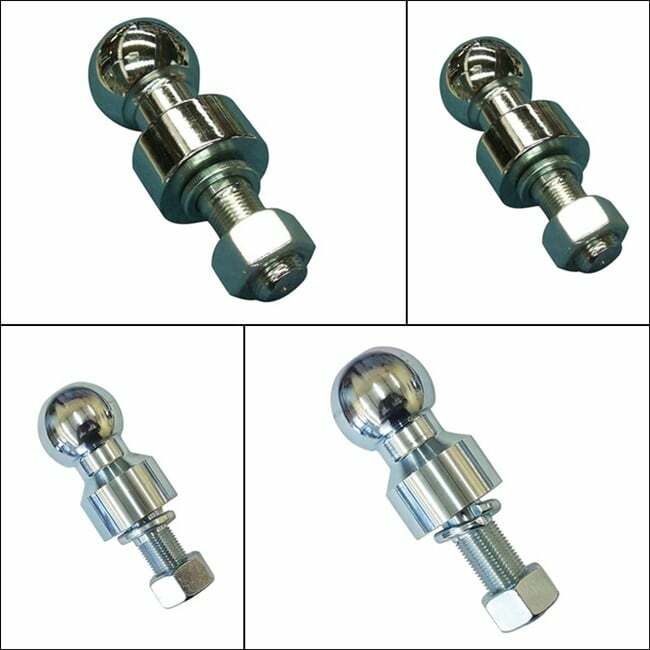 If your Couplemate high tensile tow ball fails you for any reason, we will replace it. 3500kg high shoulder tow balls are manufactured in Australian by Couplemate. Thank you for your support. A standard shank tow ball has a shoulder of approximately 12.5mm. This size shank fits all highway couplings except some off-road couplings. The Al-ko, Ark and Hyland off-road couplings foul the tow bar tongue when towing through gullies or river beds on an angle. There is possible damage that could be caused to your towing equipment using a normal size shoulder on a tow ball. Couplemate developed a high tensile tow ball to allow the full rating of 3500kg to be issued to this tow ball. In fact, a much higher rating is achievable due to the grade of high tensile we used. There has been a fair amount of research on galvanising and spring weakness due to the galvanising process. Click here for the full report. So will galvanising or plating affect my product strength? Yes, strength tests in the full test report above states strength reduce the product rating by 0.4%, The tolerance here we would take notice is 1%. In effect, there is no negligible effect on product load rating. Click this link to read our article on galvanising. How can I be sure my this tow ball rating will not be affected by galvanising? Couplemate tow balls are tested to AS 4177.2—2004 after being plated. Also required as part of testing is a certificate that the tow ball has undergone a de-embrittlement process. So you have read about embrittlement right? Well, we have a certificate to ensure our tow balls are free of hydrogen embrittlement. So you have read about embrittlement right? Well, we have a certificate to ensure our tow balls are free of hydrogen embrittlement. Editors Review: This tow ball was the result of a telephone call from a caravan outlet in Victoria. The owner had identified a problem with high shoulder tow balls cracking at 3.5t. We made this one from high tensile steel. I do not think the Chinese have ever heard of high tensile steel. So yes, Australian designed, tested and manufactured. My customers know for sure, that if a product is made by Couplemate then it is safe to use. Please leave a review yourself if you have purchased this product and have a comment.